Easter is right around the corner. Easter is an important holiday for many people and it’s a great time to dress nicely for church or the brunch you have planned that day. Easter has always had a “spring colored” theme to it. The yellows, the purples, pinks, and blues, all in the light pastel shades. And especially floral dresses! I officially say it’s time to bring out the white dresses too. Here at Garbarini we have many options available to help you plan the perfect outfit for this spring holiday. Florals are always in - but most especially this spring. This Carina Wrap Dress is a great option for this Easter holiday. It’s one of our favorite cute Easter dresses. This dress has a flattering v-neckline and a waist defining belt. It’s a short sleeveless wrap dress that is flowy for warm weather but appropriate for any family outing on Easter. 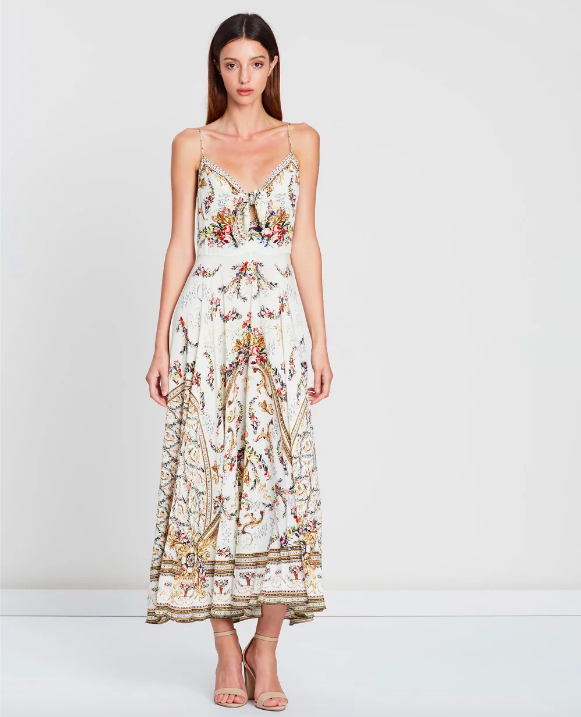 Not only is this dress a great option for Easter but it can be worn from spring into the fall with its delicate floral pattern. This is the perfect subtle white dress. The mini-length is but once again appropriate for family outings and anything else you find yourself wearing it for. 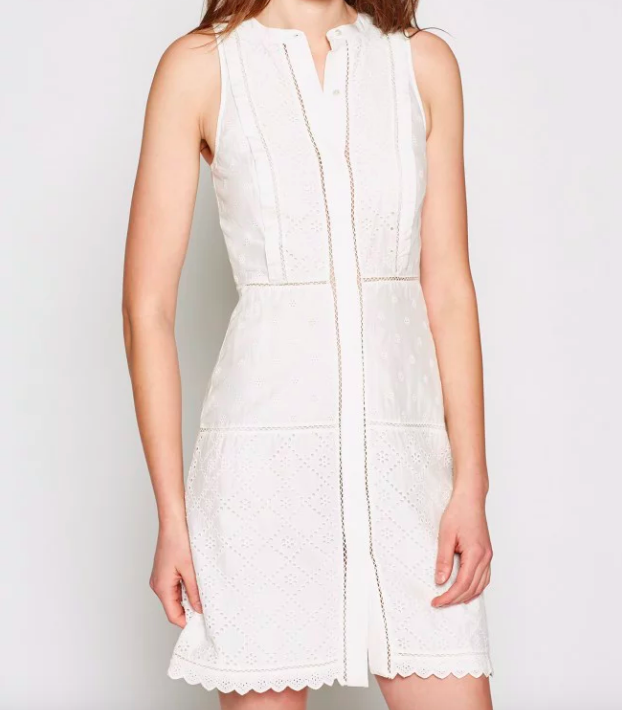 The eyelet pattern is a signature spring pattern and makes us feel ready for warm weather! It also dresses this look up making it one of our cute Easter dresses. This is not the dress for a night out but it’s the excuse to make plans. This Long Dress with Tie Front is an elegant piece for this Easter holiday. The print was inspired by the wallpaper of French Queen Marie Antoinette's rooms in Versailles. Made out of 100% silk this dress is simply extravagant and perfectly ornate. It’s a beautiful choice for a formal brunch on Easter or any of your day time activities. Layer with a soft cashmere cardigan or wrap and you'll be the bell of the Easter celebrations. Just might want to keep this one away from the Easter egg dye. 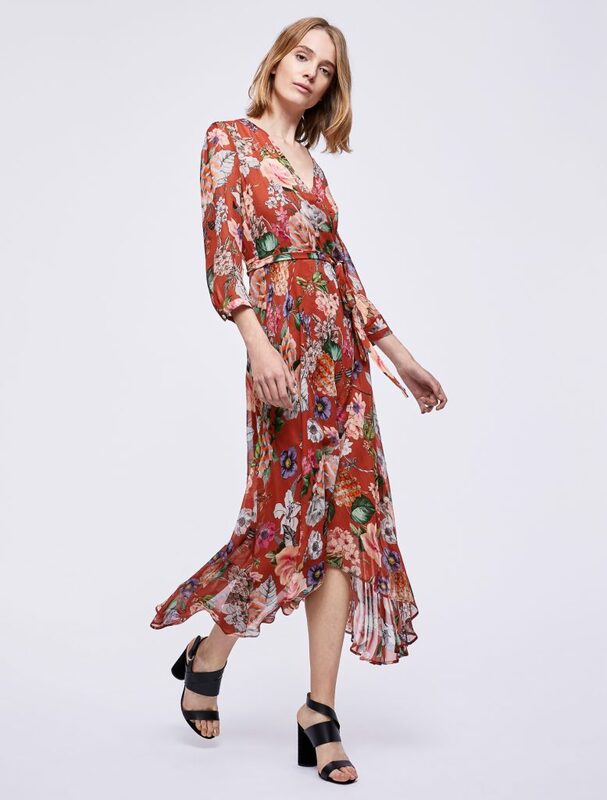 This floral wrap dress is bright and radiant. A higher surplice neckline makes it more fun than formal along with the wrap style. This dress features three-quarter length sleeves and a longer hem in the back. The pattern featured is Terra Cotta. This dress is eye catching and unique with a trendy floral pattern.This is definitely one of our favorite cute Easter dresses. This sleek sporty dress makes a great fashionable piece for more of a casual Easter. 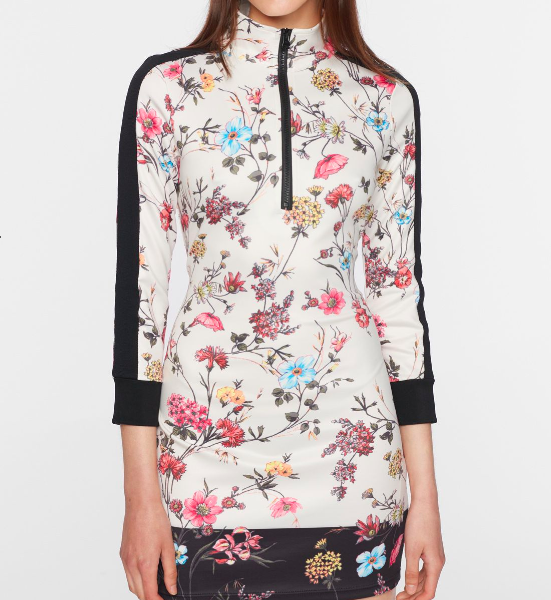 The floral print on this dress is a perfect colorful mix of pastels which compliments the fun sporty style. Dresses like these are such easy statement pieces that really turn into staples. This dress is made out of 95% polyester and 5% spandex so its a breathable option you will reach for during the later hot months of the year. Wear with a cute sneaker or sandal - this dress will go take you places! All the dresses featured here are available at Garbarini today! At Garbarini we offer unique pieces that can’t be found everywhere. If you’re in search of that last minute outfit for Easter, come into Garbarini and we can help you solve that problem! We have amazing shoes and accessories to complement every outfit as well.